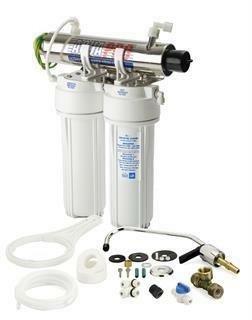 Big Blue 10″ x 4.5″ Single Whole House Filter System S/Steel bracket & spanner 1″ BSP. 1/4″ Port fitted for pressure gauge installation, supplied with 1/4″ stopper for when pressure gauge not in use. No Filters included 1/4″ Port fitted for pressure gauge installation, supplied with 1/4″ stopper for when pressure gauge not in use. 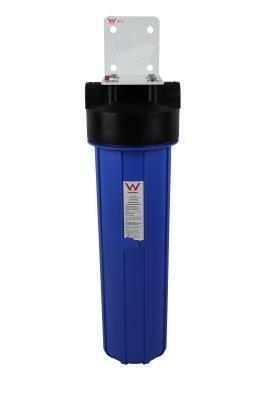 Being Blue this system is UV resistant, therefore is able to be kept outside or in areas of direct sunlight safely. 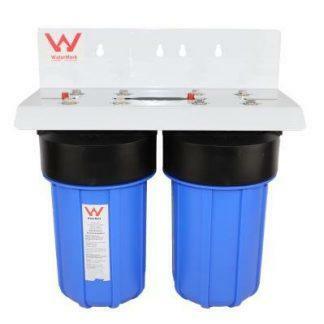 Designed for tank water where there is high quantity usage throughout the house.